But do expect some quality songwriting, and do expect your attention to be held tight. The opening catchy rumble of The Blackmobile is about as heavy as things get, a rambunctious stomp through melodic terrain driven by Simen’s voice and the only track on the album to feature blastbeats. 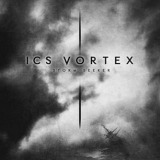 It’s worth taking a while to praise Vortex for his instrumentation as well as voice – he played guitars, bass and keyboards on the album, with drums provided by fellow drummer-for-hire Asgeir Mickelson and guest appearances from Susperia guitarist Terje Andersen and pianist/organist Arne Martinussen. Simen’s playing is excellent, giving stirring anthems like Odin’s Tree a solid backing to his vocal exclamations. The folky jangle of the brief Skoal! may suggest a sub-Korpiklaani drinking song, but it’s at once tasteful and euphoric, an added high note to Simen’s voice giving it a gleeful air enhanced by the playful music. Elsewhere, the upbeat stomp of Dogsmacked and Aces, and the wistful gloom of Oil In Water are solid offerings, but it’s the six-minute proggy meander of the title track that I’d have liked to see more of, more rock than metal with a touch of folk in vocals and flute and a sense of ambition that some of the other tracks lack. All in all, it’s not an album full of standout songs, but it’s an album that works as a whole, a collection of songs similar in tone but different in style. The biggest surprise is probably instrumental outro The Sub Mariner, rather lovely keyboard ambience very different to the rest of the album and something that could well bear further experimentation for future ICS Vortex releases. Obviously, none of this will appeal if you find Vortex’s talents something of a vacuum, but fans will eat this up, and it’ll grow on anyone thanks to the strength of his performance and the solid songwriting.